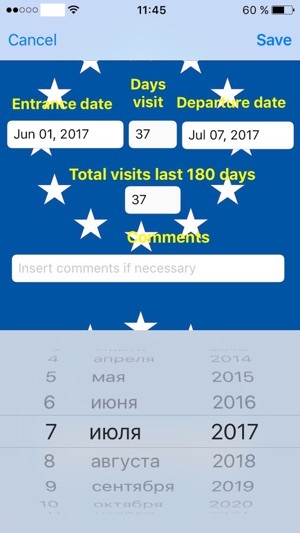 App is designed for frequent travelers in Europe which have to fulfill the requirement - terms of present in Schengen area - not more than 90 days during any 180 days interval. 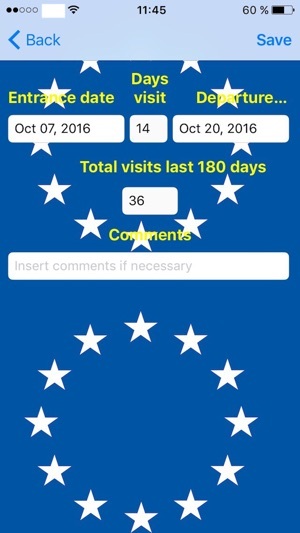 Besides the standard feature as registering your trips it prompts when your trip(s) inside Schengen area exceeds 90 days term during any 180 days. 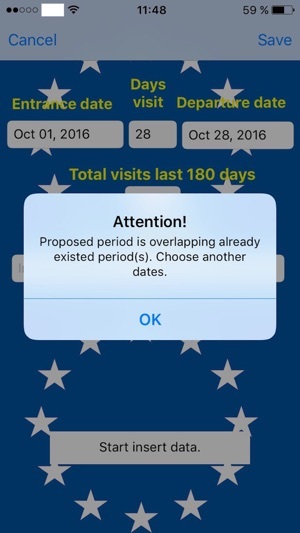 And moreover - you can plan the next arrival if you know the required days of your next visit. While you add, update or save data app prompts (alerts) if you inserted incorrect data (e.g. overlapping of periods which can not be in real life). Just border control take final decision about crossing border and your stay in Schengen area. 1. Improved stability - fixed bug which led to crash if you change timezone while app was loaded in memory. 2. 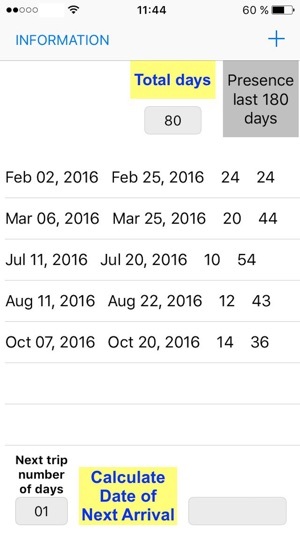 Improved calculation for finding date for next trip. Previous calculations sometimes offered not the closest date. Please check previuosly saved data after update.